As part of this ongoing series on Teaching Romanticism we will consider the ways in which we lecture on and discuss individual authors, whether during author-specific modules or broader period surveys. I thought it would be particularly useful to hear about which texts educators use and in what context, whether they place certain poems or prose works against those of other writers, or use contemporary or modern theoretical texts, or something else entirely. For this strand of blog posts I invite academics across the world to share their advice and tips on any aspect that interests them about teaching Romanticism. Many thanks to all of those who answered my call through NASSR-L and elsewhere (lightly edited samples are reproduced below with permission of the authors). Please do feel free to contact me with advice on future subjects or, indeed, with further thoughts on teaching Smith, about which much more could be said, evidently. We will be considering a range of writers, canonical and non-canonical alike, in the coming months. I count myself lucky to be the teacher of both Eighteenth-Century Literature and Romantic Literature in our English department, and thus to have the opportunity to teach Charlotte Smith as a late-arriving rock star of the eighteenth-century novel of sensibility, and also as an early, innovative poet of the Romantic Period. At Clayton State University, a regional school south of Atlanta, the average age of our students is twenty-seven years old, and they come from all walks of life—from the working adult population, from the traditional college population, from the African-American community of Clayton County, from the military, and from too many other interesting backgrounds to list here. When students enrol in my Eighteenth-Century Literature course, they often have little to no experience reading eighteenth- or nineteenth-century English. 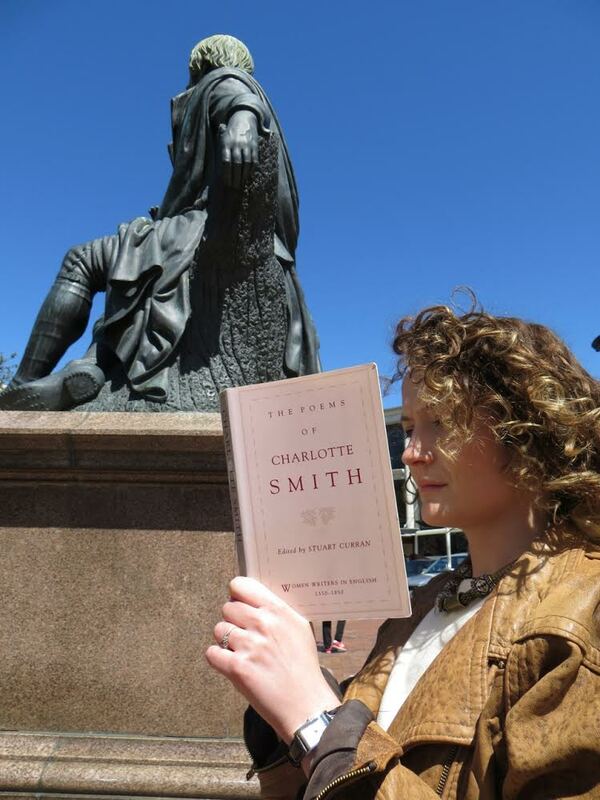 Teaching Charlotte Smith requires that I craft a compelling case for eighteenth-century language as readable and even enjoyable before we start reading her prose, which they find to be dense. Therefore, the last couple of times I’ve taught the course, I’ve started with M. G. Lewis’s The Monk, which seems a counterintuitive choice, since the novel was published at the end of the century in 1796. Due to its sensational (and sexual) content, however, I’ve found the book to be invaluable in introducing my students to eighteenth-century sentences, as well as to the cultural and moral norms and transgressions of the period. As the course progresses, we journey through Richardson’s Pamela and eventually arrive at Charlotte Smith’s Emmeline as a culminating example of the novel of sensibility. Having read The Monk first becomes crucial to our reading of Smith’s novel, because it allows us to see how Emmeline is not primarily a Gothic novel, despite some of its dramatic trappings. By recalling themes from Pamela and from Frances Burney’s journals and letters as we analyse the characters and structure of Emmeline, we’re able to see how Smith revises the novel of sensibility to forge a strong critique of the social forces that constrain many of her female characters, including the unhappily married Mrs. Stafford, through whom Smith portrays many of the painful details of her own marriage. Smith’s well-known biography is the key to opening up her works for students who find themselves facing a daunting schedule of poetry-reading in my Romantic Literature course. A good number of my students are single parents, and so the relentless melancholy of the Elegiac Sonnets seems more than just a literary mode to them once we’ve covered Smith’s early, unhappy marriage, her time spent in debtor’s prison with her feckless husband, her eventual separation from him and her struggle to provide for herself and her children through her writing, and her protracted legal battles over her father-in-law’s will. By the time we read Smith’s poems, we have already encountered the literary tradition of sensibility in Cowper’s poems, and so it is easy to move on to Smith’s sympathetic descriptions of death and insanity in sonnets including “Press’d by the Moon” and “Supposed to be Written by Werther”—poems that would be difficult to describe as anything other than Romantic in tone and diction. Smith’s enshrining of locality in nature is another key Romantic innovation that students can distinguish from Cowper (and that they will be able to compare to Wordsworth as the course evolves): a great sonnet for showing Smith’s dedication to the local is “To Melancholy. Written on the banks of the Arun, Oct. 1785”. 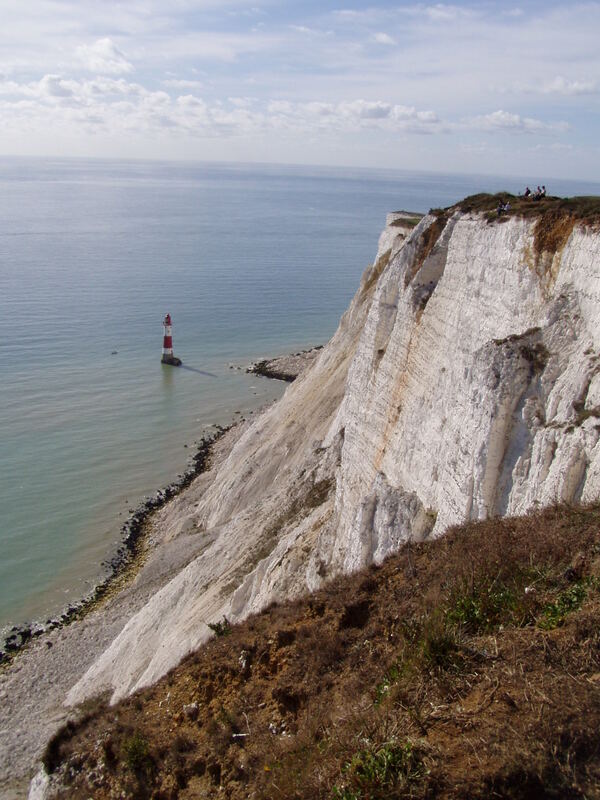 I also refer them to Smith’s biography for her significant expertise in botany: a short excerpt from “Beachy Head” can confirm Smith’s interest in local natural history. While we don’t examine the entire collection of the Elegiac Sonnets, this very short introduction to them (including a description of her formal innovations and their crucial role in the “sonnet wars” of the late eighteenth century) helps students to understand what Charlotte Smith is attempting to do in her narrative poem The Emigrants, in which the terrible storms that engulf the landscape become symbolically bound to the political, masculinized violence that is perpetrating the horrors of war (The Emigrants makes for fascinating discussion when combined with Percy Shelley, later in the course). 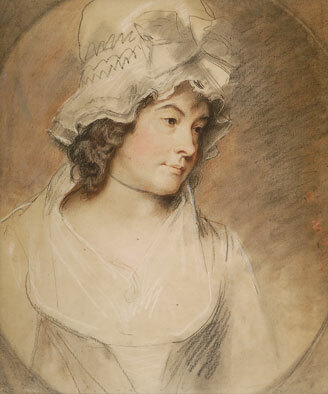 When students write their research papers on Charlotte Smith in either the Eighteenth-Century Literature course or the Romantic Literature course, one of the most satisfying outcomes for me as a teacher is to be able to point them to articles that broaden the students’ understanding of Smith, and her oeuvre as novelist and poet, beyond the confines of period-based study. Since our students must spend so much time learning the basic historical context and acquiring the language of the late eighteenth century, the final research paper serves as a gateway to upper-level study. For a student writing on The Emigrants, I would supplement the reading with a piece such as Kari Lokke’s “Charlotte Smith’s Desmond: The Historical Novel as Social Protest” (Women’s Writing, 2009), and I would select an article on Smith’s poetry for a writer who chose Emmeline as her subject. I was cheered to see how many students chose to include their papers on eighteenth-century and Romantic literature in their senior portfolios last year, because they had learned to understand and enjoy the texts of the period, especially through Charlotte Smith’s accessibility and dramatic flair. 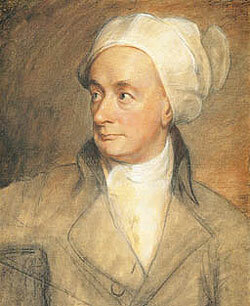 When I introduced Charlotte Smith to my British Romanticism students this semester, I began with the Elegiac Sonnets because they contain, in brief, many of the elements traditionally associated with the British Romantic period—experiments in poetic form, the interplay of memory and Nature, the pastoral and pagan, the noble savage, the figure of the solitary poet/genius. The sonnets “Written at the Close of Spring”, “To Sleep”, and “On Being Cautioned” can be read as “snapshots” of the Romantic period and used to introduce its central themes, to discuss the critical history, and to dialogue with later works. Because I began the semester introducing students to traditional definitions of Romanticism and how they developed around the “Big Six”, our discussion of Smith lent itself to pairing her poems with more canonical pieces. I found this to be a useful strategy because these pairings underscore the questions raised by the expansion of the Romantic canon, not the least of which is “What is Romanticism and which writers and genres define it?” The following are some highlights from some recent class discussions of three of her poems. Although they are quite different forms, this poem and Wordsworth’s “Lines Composed a Few Miles above Tintern Abbey” pair well. 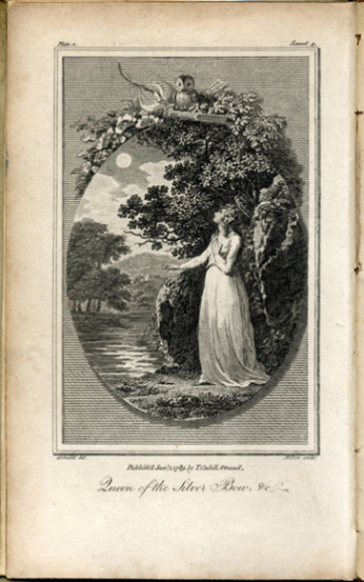 For both poets, Nature is a source of poetic inspiration, but the differences between the two expose the gender dynamics of the eighteenth century, which my students (many of whom happen to be female poets) immediately recognized and were eager to discuss. Whereas Wordsworth finds solace in Nature and “abundant recompense” for the losses incurred in adulthood, Smith concludes that happiness has “no second Spring”. My students quickly pointed out the melancholy of Smith’s work and the biographical reasons for it—the early, unwanted marriage; her abusive, philandering husband; the 1783 imprisonment for debt; and, of course, her multiple pregnancies. By contrast, Wordsworth’s poem, also biographical, ends on a hopeful note, looking to his sister Dorothy as his “second Spring”. This comparison led to a productive discussion of the social, cultural, and political inequalities between men and women in the period, particularly male and female poets (which, not surprisingly, led us to Barbauld’s “Washing Day”). Further, the biographical components of both pieces, coupled with the early tendency in Wordsworth criticism to downplay that element, encouraged an analysis of the gender implications of biographical readings in the critical history. Less “natural” and more “supernatural”, this poem introduces the pagan and visionary elements of Romanticism with its references to Morpheus and an opium-induced slumber. 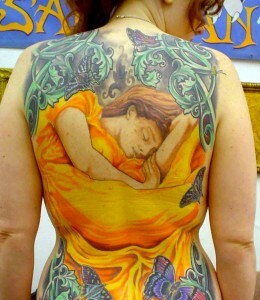 Later in the semester, the poem can be paired with Keats’s “Sonnet to Sleep”. 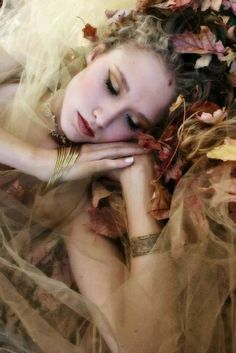 For both poets, sleep escapes them; they long for it to calm anxiety, fear, and the burden of thought. Both poets imagine the ethereal pleasures of sleep, and, of course, both poems lend themselves to biographical readings, offering another opportunity for students to analyse the assumptions about gender implicit in the critical history. While the speaker of Smith’s sonnet seems more concerned with escaping the struggles “of this earth”, Keats’s speaker motions towards the “other worldly”. Smith’s struggles are reflected in the references to the shepherd, the sea boy, and the peasant whose work evokes the “real” world. Keats, on the other hand, has few, if any, references to daily life and seeks a kind of funereal transcendence, beginning and ending the poem with an image of a casket. Coupling these two poems enabled students to discuss the burdens faced by these two poets and how they represent them differently, both in content and form, which led to further discussions of gender and class. The class dynamics implicit in the poem also generated some interesting analysis. Smith elevates the humble peasant, shepherd, village girl, and sea boy, each of whom students recognized as “noble savages”. We discussed where the “noble savage” appears in other works and how that concept is complicated by class hierarchies. Students argued that the poem, in many ways, exploits the lower classes for the sake of art. Similar to her male counterparts, particularly Wordsworth and his speakers, Smith and her speaker operate from a “higher” vantage point than her subjects. And, finally, the line “Who wake to labor, liberty, and love”, which we discussed as part of this oversimplified representation of the lives of the working poor, led to a discussion of how this poem anticipates the French Revolution and its clarion call, “Liberty, equality, fraternity”. Our discussion of this poem centred on the Gothic, from the wild and stormy sea to the “wild and hollow” eyes of the lunatic. The Gothic elements of the poem’s landscape and the madness of the “solitary wretch” anticipate Percy Shelley’s Julian and Maddalo and Mary Shelley’s Frankenstein, particularly the Romantic “curse” of self-consciousness / knowledge and the trope of poet as madman. 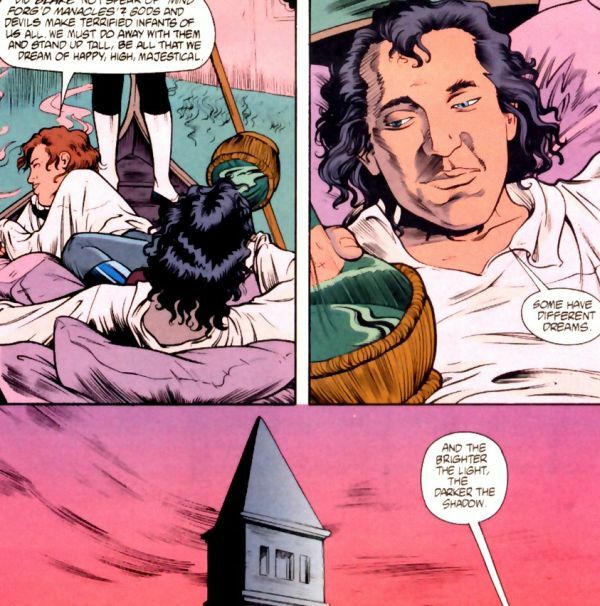 From this emerged a discussion of the gender dynamics of the Gothic and its relationship to “high” Romanticism. Students noted the differences between the ways male and female poets respond to the trope of lunacy. For Smith, the poet’s identification with the lunatic focuses more on relief from suffering than on the creation of art achieved by such suffering. Although these notes are faint sketches of what these poems offer, I hope that this brief synopsis of my recent class discussions demonstrate the ways in which these poems can be used to introduce Romanticism and important elements of its critical history. Each of these poems can be returned to again and again throughout the semester, facilitating a dialogue about what Romanticism is and how we define it. The first lecture in my Romanticism class introduces Charlotte Smith and Robert Burns as writers whose poetry laid the foundations for British Romanticism. I focus on the usual topics: Smith’s popularisation of the sonnet, the importance of sensibility, and the ways in which her biography impacts readings of her work, then and now; Burns’s use of vernacular speech and the ballad form, and his dual presence as outsider and national voice. Both writers become points of reference throughout the semester, but Smith’s presence is more strongly felt—even in Dunedin, the Edinburgh of the South, where a statue of Burns sits in the centre of town. Why? Partly because students are struck by her personal story: married at fifteen, facing financial ruin, supporting her family via writing, and doing so, unapologetically, under her own name. But there’s a practical reason as well: I require my students to memorise three sonnets over the course of the semester. They can choose among any of the many great sonnets we read, but almost every student memorises at least one Smith sonnet. It’s a pragmatic choice—the only poems we read by Smith are sonnets, so they can feel certain they’re completing the assignment correctly—but it’s also a matter of preference. Smith’s sonnets are immediately approachable to students who have spent their school years avoiding poetry. 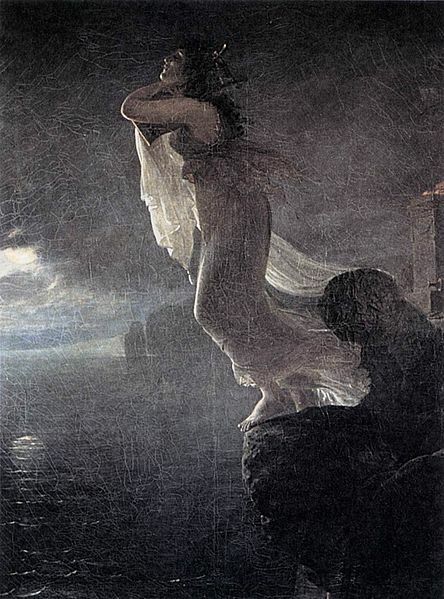 The opening sonnet (“The partial Muse”) and “To the Moon” are memorisation favourites, but “Written on the Sea Shore.—October, 1784” gets perhaps the most reciters. The sonnet’s “poor mariner” is the first of many castaways we encounter in the class. 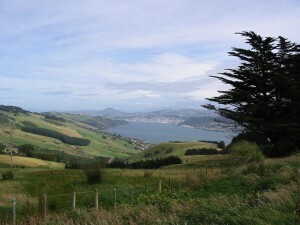 But there’s also a local angle: any resident of “rude” and “rocky-shore[d]” Dunedin, where noisy seagulls outnumber students, will recognise the sonnet’s imagery and tone: “O’er the dark waves the winds tempestuous howl; / The screaming sea-bird quits the troubled sea: / But the wild gloomy scene has charms for me, / And suits the mournful temper of my soul”. Some of my colleagues question the recitation requirement in my class. But I leave the choice of sonnets up to the students. And anyone who’s memorised a few poems knows how it helps internalise the sounds and rhythms of poetic diction. It also allows for magical moments. After a recitation of Keats’s “When I Have Fears”, a student called my attention to the striking syntactic and metrical echoes between Keats’s line “And when I feel, fair creature of an hour” and Smith’s “And oft I think—fair planet of the night” (“To the Moon”). Her observation—one I’ve never seen cited before—opened up an interesting discussion of influence and intertext, the two poets’ affective turns to face mortality, and the question of gender: had Smith’s line appeared in a Wordsworth poem, its similarity to Keats would have been noted long ago. My student could only identify the similarity because she had memorised (and not just read) Smith’s sonnet a few weeks before, and was therefore able to call to mind the aural echo produced by the parallel structures. I teach Charlotte Smith and Mary Robinson together at second and third year level in relation to the Romantic-era sonnet revival. The two women are, of course, a natural pairing: both wrote prolifically across the genres; both were at the height of their fame in the 1790s; both were political radicals; and both deployed elements of their “real-life” in their poetry in order to generate reader sympathy. It’s pretty much impossible to overlook biography when talking about Smith and Robinson, and their biographies are quite fascinating to students, so I make sure to spend some time in the beginning of my lecture talking about each woman and the events of her life. However, the key framework through which I discuss the two writers is the discourse of sensibility. I introduce this concept to the students, and then situate Smith as a writer whose poetry relies for effect on the affective dimension of sensibility. Smith wants her readers to “feel” with and for the autobiographical narrator of the Elegiac Sonnets (1784), and her narrator becomes a decorous version of the “heroine of sensibility”. I suggest to the students that as Smith’s display of sensibility is based upon generating reader empathy for her narrator’s plight, it is relatively unthreatening to eighteenth-century readers. In contrast, I suggest that Robinson explicitly sexualises her display of sensibility in Sappho and Phaon (1796). Sensibility is linked to passion in Robinson’s sonnets and that it is this aspect of Sappho and Phaon that makes it, arguably, the more radical text. This approach is complicated, however, by the fact that of the two poets Robinson is by far the more difficult for students to come to grips with. A detailed knowledge of the history of Sappho; of the sonnet form; of Robinson’s life; and of the radical politics of the 1790s is necessary in order for students to see the truly revolutionary implications of Sappho and Phaon. With this in mind, I typically begin with one of Smith sonnets—usually “Sonnet I” which, in effect, sets up the narrative of the volume as a whole. I am always struck by just how accessible Smith is to students. Although some students tend to find her relentlessly depressing tone monotonous, most find her sonnets intriguing and relatively easy to decipher. After the students and I have read through the sonnet quatrain by quatrain, I talk about the way in which Smith’s use of innovative versions of the English sonnet help to give her poems a sense of being motivated by “real” feeling—she is not constrained by the strict rhyme structure of the Petrarchan form. I then compare Smith’s sonnets with Robinson’s sonnet sequence. I suggest to the students that Robinson makes much larger claims for her work than Smith, whose main aim seems to be to touch “the few, who, to sensibility of heart, join simplicity of taste” (“Preface” to Elegiac Sonnets, first edition). In contrast, Robinson deliberately places herself within a male-dominated sonnet-writing tradition in her “Preface” to the Sappho and Phaon, situating her own work alongside that of Britain’s most eminent poet, Milton. To help the students navigate their way through the sequence, I provide an overview of the narrative of Sappho and Phaon before suggesting that Robinson also attempts to reconfigure the female poetic tradition in Sappho and Phaon to include an acceptance of female sexual desire. As a result of this reframing, Sappho becomes an overtly sexualized version of the heroine of sensibility who is redeemed through her poetic genius and sensibility. 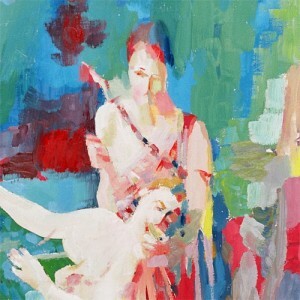 This poetic persona is enabling for the fallen Robinson because it engages specifically with the circumstances of her own biography and it is radical because it extends the range of feelings proper to women’s poetry, and at the same time the range of emotions typically connected to sensibility. Robinson, I suggest, argues that all natural feelings (including sexual ones) should form the basis of a true poetry of sensibility. By the end of this lecture and the discussion that follows it, students should have a relatively detailed understanding of both the significance of sensibility to Romantic-era poetry, and the nuanced ways in which the discourse of sensibility is deployed in the work of both poets. Students should also be in a position to assess for themselves the potentially radical, and potentially dangerous, elements of each poet’s deployment of sensibility in her poetry. Claire Knowles and I have recently begun work on a new edition of Smith’s poetry for Broadview Press, Charlotte Smith: Major Poetic Works and we have been preoccupied with thinking about the many ways in which one might approach the teaching of Smith’s work. Something I find useful for my own thinking about Smith, and for providing ways into her poetry for students, are the plates that accompany a number of editions of Elegiac Sonnets. We plan to include these plates in our own edition of Smith’s works. In particular, the images that accompany Sonnet 4 (“To the Moon”) and Sonnet 12 (“Written on the Sea Shore.—October, 1784”) are textbook depictions of the lyric poet as well as of the poet of sensibility. Sarah Zimmerman, for example, describes the “To the Moon” plate as an image of the lyric poet with her back to her audience, seemingly absorbed in a private moment of contemplation. When read closely alongside these sonnets the images open up questions around how the speaker is imagined in Smith’s poems (and the lyric poem more broadly); how the figure of the poet is imagined; what kind of response Smith’s asks of her readers; and the role gender plays in her work. 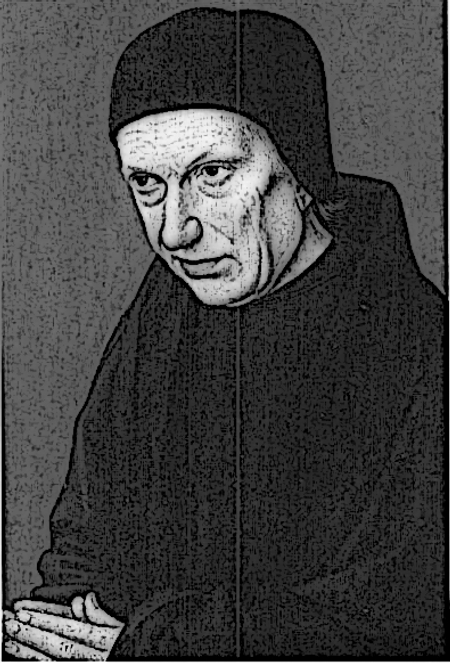 Having set this image of the poet of sensibility up as the template Smith adopts, masters, and manipulates from the first edition of the sonnets onwards, it then becomes possible to explore questions about how well the images depicted in the plates fit some of Smith’s later sonnets: from the wonderfully macabre Sonnet 44 (“Written in the church-yard at Middleton in Sussex”)—which is always a favourite—to Sonnet 83 (“The Sea View”), in which the tranquil pastoral scene of the octave is broken in upon in the sestet by a visceral description of sea battle off the coast of Brighton. I find Smith’s preface to Volume Two of Elegiac Sonnets, published in 1797, especially helpful here. In this preface Smith presents herself as liable to be unpopular for daring to represent the “tragedy in real life”, that “threatening desolation, that overspreads the country, and in some degree, every quarter of the world”. This is a far cry from her initial 1784 claim that her sonnets express in verse the “sensations” of some “melancholy moments”. The gap between these two claims, and the difference between the sonnets they introduce, opens up a place for discussion of the tensions between public and private in the sonnets, the uses to which feeling could be put, and the surprising ways in which Smith enters into wider political discussion, even in her sonnets. My sense is that Smith’s sonnets still get taught more often that her longer poems, possibly because they fit more easily within a discussion of “women’s poetry” (as well as the obvious fact that they’re short). Emphasising Smith’s use of private and public voices in her sonnets and gesturing toward the radicalisation of Smith’s sonnet voice for the 1790s provides a natural bridge for entering The Emigrants (1793). Students can then focus on Smith’s poetic persona in her longer work and start thinking about how it enables her to enter explicitly into political debate. Length and digressiveness are obvious issues for the teaching of The Emigrants, but the poem is immediately concerned with issues that politically aware students are themselves immediately concerned with. I have just added The Emigrants to an advanced-undergraduate course in which we also spend time on Book IV of William Cowper’s The Task (1785), and in particular on Cowper’s Brown Study passage in which the poet gazes into the fire trying to apprehend how one might imagine “some stranger’s near approach” (a scene which is then picked up by Coleridge in “Frost at Midnight”). The course also starts with some reading of key extracts from Adam Smith and Henry Mackenzie and a discussion of sympathy. The obvious context for The Emigrants is, of course, the Revolutionary debate, and this is clearly a useful teaching approach. However, I’m interested in seeing whether students will find the poem stimulating when approached also as part of a longer poetic discussion of the role of the social observer and the question of how we engage with strangers. I’m interested in how this poem might be read as an important moment in a long intellectual history of placing exile at the centre of explorations of the modern, mobile subject. In summary, our contributors have demonstrated an impressive array of approaches to teaching Smith’s poetry and fiction. 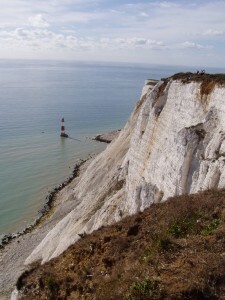 They encourage their students to place Smith’s work alongside other British writers, most notably Robinson and Cowper, as well as later writers such as Keats and Shelley. In our sample here, Elegiac Sonnets and The Emigrants have proven to be especial favourites, though Desmond and other works also feature prominently on both eighteenth-century and Romantic-period courses. In particular, the intense and deeply felt emotionalism of Smith’s poetry affords a privileged point of access into discussions about the depiction and role of feeling in literature at large. Smith, lest we forget, was mindful of having levelled at her “the suspicion of feigning sorrow”, as she writes in the preface to the second edition of Elegiac Sonnets, and of Sensibility as a fashionable construct. Far from dismissing biography when reading—and teaching—Smith’s work, an approach that considers the impact of a fret-filled life on an author’s works allows us to demonstrate to students the impressive connection forged between form and feeling in the works of leading writers in the period. And we find more in Smith’s novels than the mere trappings of Gothic or historical fiction.